From November 5-16 of 2013, Mammut ambassadors Doug Workman and Todd Offenbacher embarked on an Antarctic Peninsula ski-mountaineering expedition organized by Doug Stoup's Ice Axe Expeditions. Expedition Leader Stoup has visited the Antarctic Peninsula more than any other explorer alive. His intimate knowledge of the region makes him an authority on ski mountaineering on the Antarctic Peninsula--and the perfect leader to wrangle 22 mountain guides and there clients on one expedition ship. Respectively, this was Offenbacher's second and Workman's fourth expedition to the Peninsula. 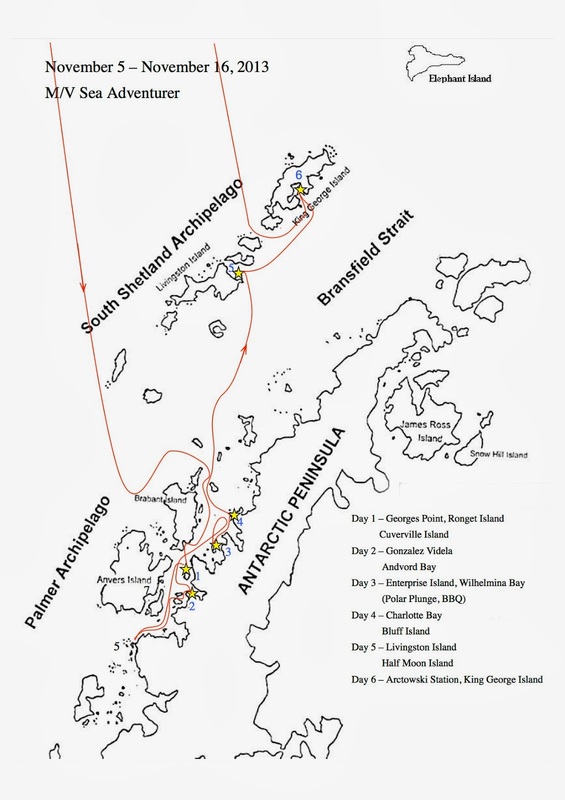 of the Antarctic Peninsula and the South Shetland Islands. Living aboard the Sea Adventurer--a 98 meter, re-tooled research ship--Workman and Offenbacher each guided a group of four clients. 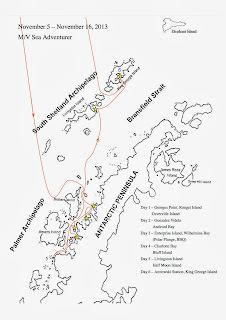 After the 2 day crossing of the infamous Drake Passage, the group started picking their objectives, many of which would be first ascents and descents. Most objectives ranged from 500 to 1000 meters and had breath-taking views from the bottom of the world. "Day after day, guides reported the best snow they had ever skied in Antarctica." Yet another unskied line on the Peninsula. “You feel like navy seals on vacation. You live on a ship. You pick your own mission. Then the ships’ crew lowers a zodiac raft with an out board motor and off you go to gettr’ done” recounts Offenbacher. The Zodiac drivers, members of the Quark Expedition Team (the expedition team which runs the Sea Adventurer year round) were experts at getting our teams ashore to ski runs often blocked by 200' tall ice cliffs. A Natural Serac Avalanche on approach to "Little Matterhorn." Approaching "Little Matterhorn." The team skied the right ski-line of the peak. Approaching a first descent we skied on the 11 November. The team worked together with their clients and made several first ascents as a team. And that's a wrap! Offenbacher disembarks. Mammut tools that the team found invaluable for their Antarctic Peninsula Expedition included the Mammut RescYou, Twilight 7.5 ropes, PULSE Barryvox, Basejump Pants, Massao Jacket, and Spindrift Light 30 Pack. All photos: Todd Offenbacher and Doug Workman unless otherwise noted.